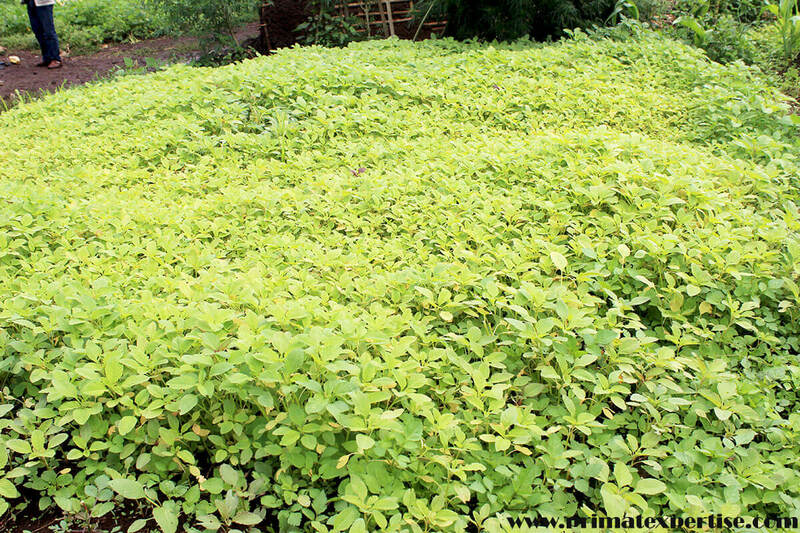 Kahuzi-Biega Forest was the home of Batwa pygmies before it was gazeeted as a National Park in 1970. The life of the pygmy people was closely linked to the forest of Kahuzi-Biega, which they considered as their paradise. In fact, the forest offered them all what they needed for their life (food, medicine, shelter, etc.). Far from their “lost paradise”, they have drastically changed their behaviour in order to adapt to a new life style. They no longer hunt nor get access to natural medicines freely in the forest as they used to do before they were chassed from Kahuzi-Biega National Park which they still consider as their confiscated home. Pygmies feel that they have lost their dignity as human being and rely on other tribes for their daily needs. Thus, they are overexploited by these tribes who consider them as a workforce destined for all kinds of degrading and worthless work. 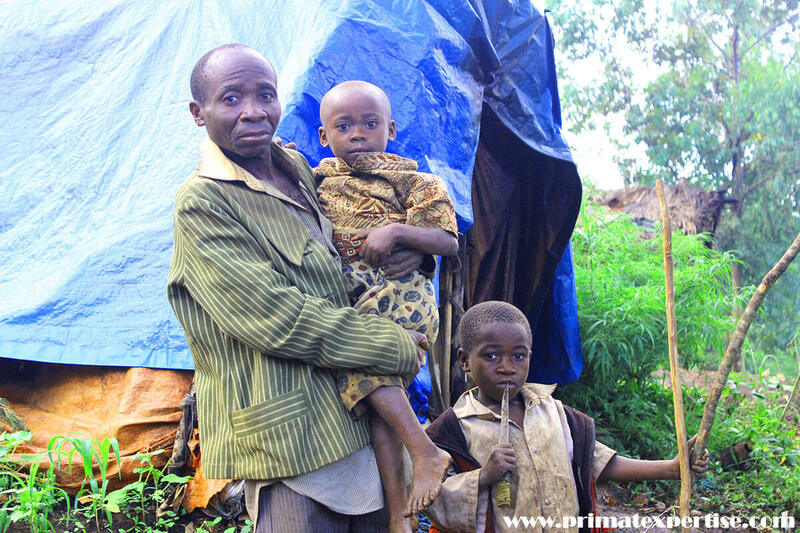 In the new “modern world”, batwa pygmies are experiencing several issues including hunger, bad hygienic conditions, poor education of their children, poor health care, housing problems, etc. Most of batwa pygmies are jobless and they don’t have their own land. As a result , they don’t have other alternative than beeing forced to secretely enter into the forest to hunt animals, collect medicine plants and other naturel resources (mushrooms, honey, insectes, fire woods, etc.) they need to feed their families. Entering into the park is very risky, because when attrapped by park rangers, pygmies are considered as poachers and severerly punished. Mr. MAROC KAGANDA, a pygmy resident of the Buyungule village near KBNP. He has become a widower of 6 children since March 2018 when he lost his wife due to malaria. In his arms is his younger daughter MINANI of 3 years and the boy ASHUZA of 5 years standing beside. Thanks to Wild Earth Allies (WEA) support, Primate Expertise (PEx) is implementing a community-based conservation program on guinea pig breeding to provide an alternative for animal proteine to indigenous people among those living near KBNP. The ultimate goal of this program is to reduce hunting presure on wild animals in Kahuzi-Biega National Park by pygmies and therefore contribute to the conservation of wildlife including the great apes (gorillas and chimpanzees). 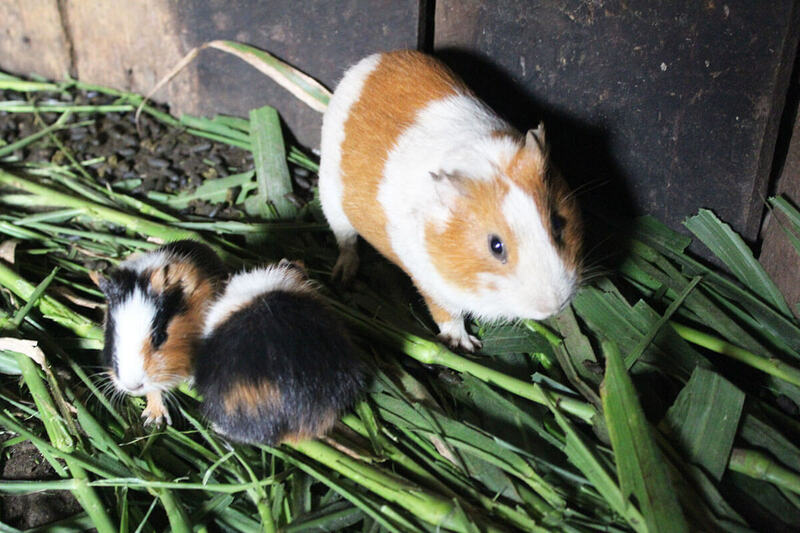 Breeding of guinea pigs is an income genrating activity that has a socio-economic value, especially for families with malnourished children, such as pygmies living around the Kahuzi-Biega National Park. Guinea pig is a valuable asset for Buyungule pygmies. 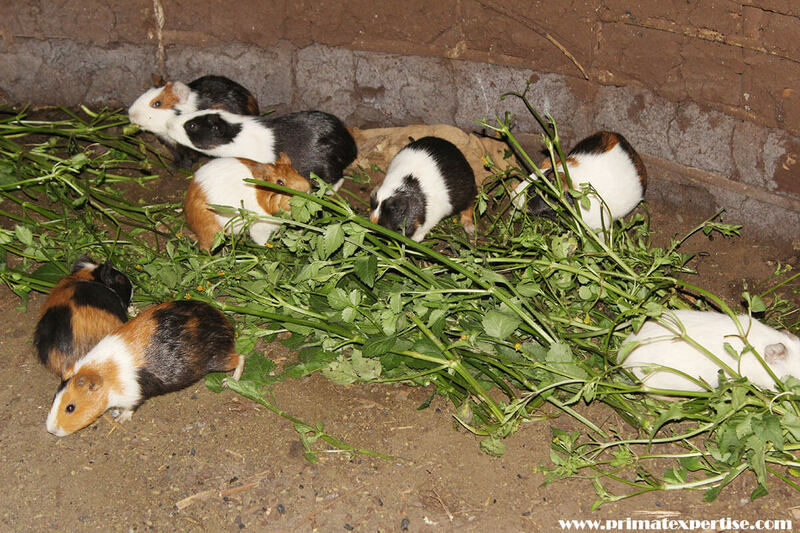 Breeding of guinea pigs is an income generating activity that has a socio-economic value, especially for families with malnourished children, such as pygmies living around the Kahuzi-Biega National Park. Guinea pig is a valuable asset for Buyungule pygmies. 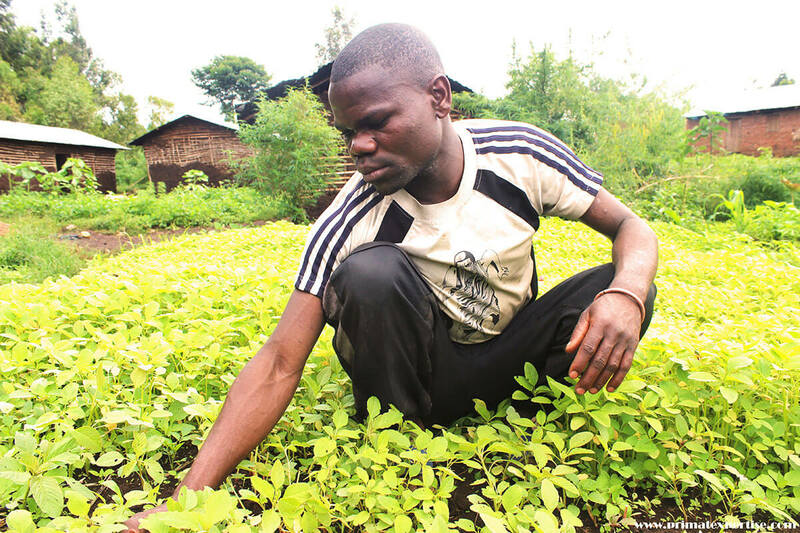 The breeding of guinea pigs coupled with family gardening is above all a guarantee of food security for vulnerable populations and a monetary resource that has a socio-economic value, especially for families with malnourished children, such as pygmies living around the Kahuzi-Biega National Park. Small guinea pigs feeding Pygmy households living around PNKB in Buyungule. Guinea pigs are highly prolific and their droppings are used as bio-fertilizer to sustain small vegetable gardens at household level. This practice is quite common and well generalized within the community. Mr. Tonton MUTABUNGA resident of Cyahoboka village near KBNP weaving the amaranths produced in his vegetable garden by using the droppings of guinea pigs as organic fertilizer.